A letter dated July 26, 2014, written by the India Bullion and Jewellers Association (IBJA) to the then Governor of the Reserve Bank of India, Raghuram Rajan had accused the UPA government of deliberately yielding to cronies by changing the gold policy days before demitting office. Next President of India: Will the opposition now pick Dr Ambedkar’s grandson? The ruling BJP on Monday said that Ram Nath Kovind will be their candidate for the next President of India. The opposition has clearly said that he will not be a consensus candidate. This would mean an election would be held on July 17 as the opposition gets ready to field its own candidate. Author Vicky NanjappaPosted on June 21, 2017 Categories PoliticsTags BJP, Dr Prakash Ambedkar, Next President of India, UPALeave a comment on Next President of India: Will the opposition now pick Dr Ambedkar’s grandson? Why are Sharad Pawar and Nitish Kumar at war? Nitish Kumar and Sharad Pawar are engaged in a silent battle. They have not spoken out against each other, but there is palpable tension among the two leaders who are eyeing for the post of coordinator of a UPA like coalition. Author Vicky NanjappaPosted on June 2, 2017 June 3, 2017 Categories PoliticsTags Nitish Kumar, oneindia.com, Sharad Pawar, UPA, Vicky NanjappaLeave a comment on Why are Sharad Pawar and Nitish Kumar at war? Investigations are on to find out if undue favours were doled out to liquor baron Vijay Mallya by members in the United Progressive Alliance government. To that end, the Central Bureau of Investigation is currently scanning through some 1.5 lakh emails, the bulk of it communications between Mallya and higher officials, including those in the Prime Minister’s Office during the UPA government. In AgustaWestland case, an unseen hand ensured probes were delayed? A delay in commencing the probe and a great deal of non-cooperation may have hurt the initial investigations into the AgustaWestland case. The Italian court in its order had also noted that there was not enough cooperation by the union government (UPA). Author Vicky NanjappaPosted on May 6, 2016 Categories CorruptionTags AgustaWestland, oneindia.com, UPA, Vicky NanjappaLeave a comment on In AgustaWestland case, an unseen hand ensured probes were delayed? New Delhi, Mar 2: It is over to the judiciary and the Home Ministry of India now. With it becoming clear that the UPA was on a witch hunt where the Ishrat Jahan encounter was concerned, it is time to set the narrative straight. A lot would depend on both the judiciary and the Home Ministry now. 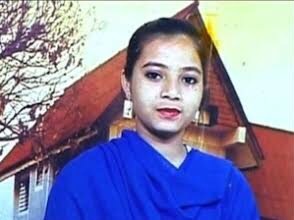 New Delhi, March 1: The Ishrat Jahan case needs a re-look in the wake of so many new revelations. Going by the statements that have been made in the past couple of days, it becomes clear that the UPA had tinkered with the files a great deal in a bid to make the encounter look fake. The Union Home Ministry has now decided to take a re-look at the case and has asked for files relating to the incident. The BJP’s National Executive being held in Bengaluru has in its Foreign Policy Resolution said that during UPA rule it tended to weigh the nation down.